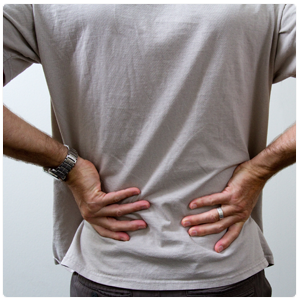 Life can be so fast paced that you may not even realize the extent of your lower back pain. You are just so used to pushing through the pain that you forget that it’s really an issue. When it comes to lower back pain, there are certain symptoms to look for. If you’re dealing with dull, aching pain in the lower back or are experiencing pain that moves all the way down to your feet, a lower back injury could be the cause. Other symptoms of lower back pain include pain that gets worse when you sit down for a long period of time, pain that is the most severe when you wake up in the morning and slowly gets better throughout the day or pain that subsides when you are moving positions. If you’re not sure if you are truly dealing with lower back pain, our experienced medical team at Advanced Medical of Twin Cities can help validate this for you. At Advanced Medical of Twin Cities, every single lower back pain treatment plan that our medical professionals create is different. We all may be dealing with different symptoms, pain levels, etc., so one treatment option will not work for all patients. To ensure that we are creating the right lower back pain treatment plan for you, we will take the time to get a true understanding of your lower back pain upfront. From there, we’ll incorporate various medical treatment options that we offer including chiropractic care, massage therapy and acupuncture. What you’ll find to be consistent with all of our lower back pain treatment plans is that they are centered around natural, non-invasive recovery. Rather than having our clients rely on pain medication or an invasive surgery, we believe in helping the lower back heal naturally so that the issues you are dealing with now don’t continue to arise down the road. So, if you are dealing with back pain and have had no success finding relief, it’s time to set up a lower back pain treatment plan with our staff at Advanced Medical of Twin Cities. To set up your initial evaluation or to learn more about our natural treatment options, give us a call today at (763) 541-1280.